Despite graduating four of the top runners in the program, Boulder City High’s boys and girls cross-country teams are again poised to have successful seasons when they start Sunrise League competition in September. At least, that is how coach Canaan Petersen sees it. The boys have advanced to the Division I-A state tournament three seasons in a row and the girls have had some individual bright spots each season. Both squads have had winning records the past two seasons since the NIAA created the new Division I-A alignment. But gone from those teams are Chandler Harkins and Evan Klouse, as well as Maddie Sargeant and Niquel Nussuer. “We lost several key seniors both on the boys and girls teams, but with the help of the freshmen that are coming in, the goal remains the same as it is every year. We want to make it to state as a team so that all the athletes qualify,” Petersen said. Petersen’s confidence stems from the athletes he has returning. On the boys team, Joren Selinger and Tyler Campbell are the top returners. “Even though they are underclassmen, both learned a lot from two great leaders (Evan and Chandler) who graduated last year,” Petersen said. “Joren and Tyler will lead the team both on and off the course. They have done so this summer, so far. “The team picks up three freshmen this season in Sam O’Berto, Tyson Morris and Dawson Goodfellow. Petersen expects plenty of competition. “It will be interesting to see how all of the guys compete with each other in practice and then in the meets. 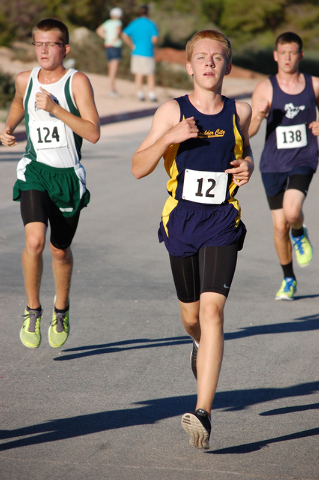 We hope to pick up some more runners as we move forward when school begins on Monday,” Petersen said. The girls squad will be led by seniors Jessica Embro and Aubrey Klouse. Embro placed fifth in the Sunrise League championship meet and advanced to the state tournament on her own effort. 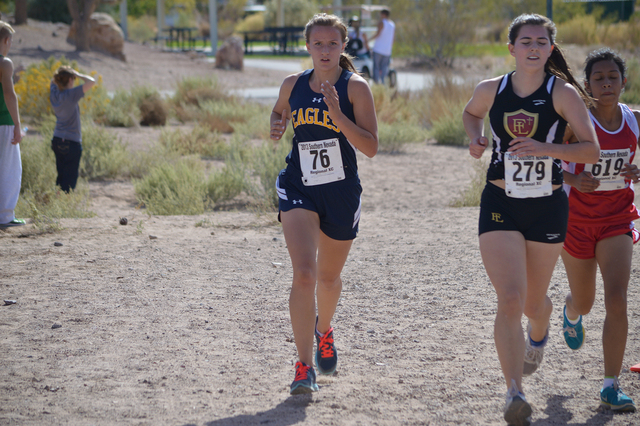 Junior Emma Torgeson returns as a strong runner along with sophomore Sabrina Snow. But just like the boys team, the girls have added some freshmen, including Sierra Selinger and Camille Torgeson. Petersen is still looking to expand the squad.